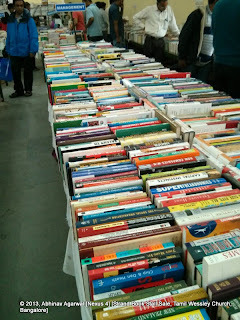 The Strand Book Stall sale used to be a much bigger, better attended, and eagerly expected event than it is now. 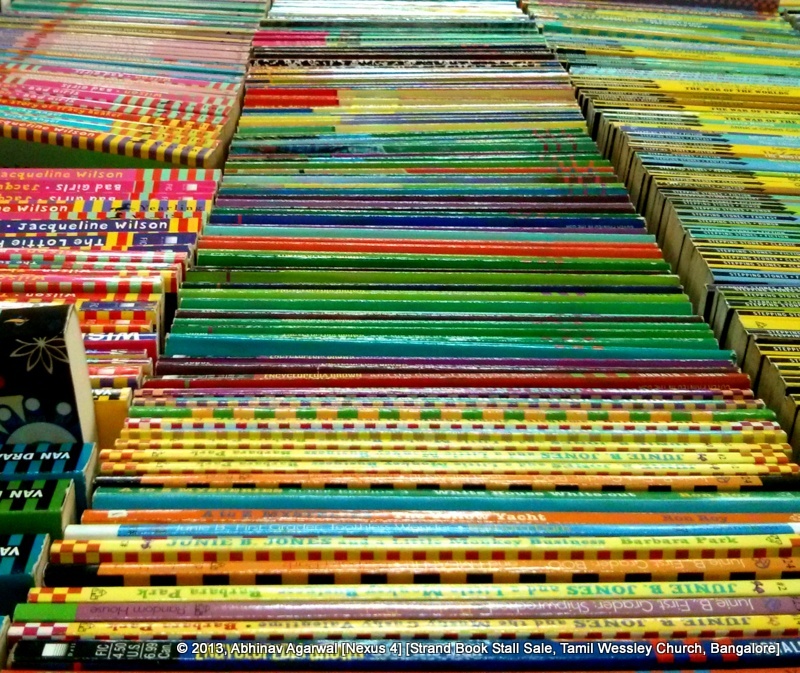 People's reading habits have not decreased. 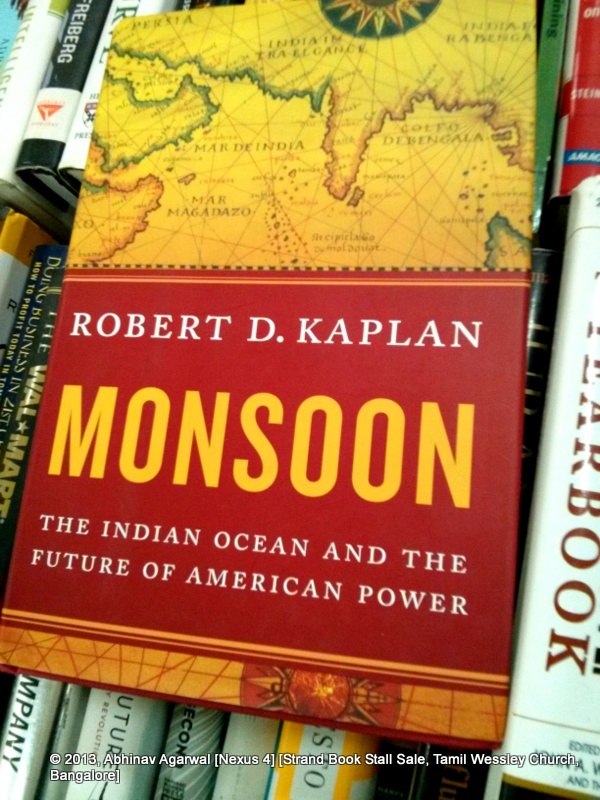 Online bookstores have proliferated that offer books at 20%, 30%, 40% off and even greater discounts. This is of course great news to both the casual reader and the bibliophile - so no complaints there. 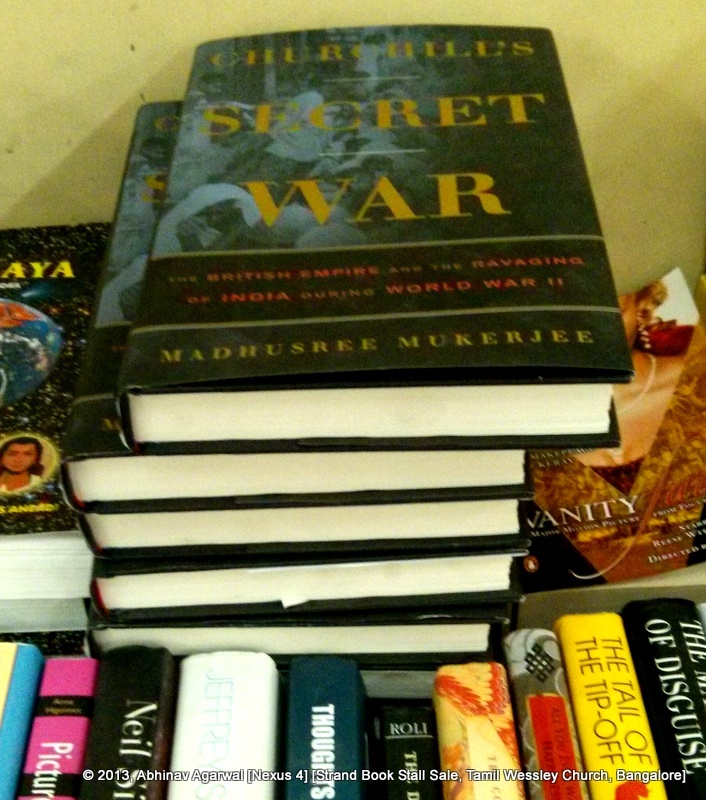 The flip side of this trend has been the slow decline of traditional bookstores like the Strand Book Stall. Crossword and Odyssey continue to hurt. 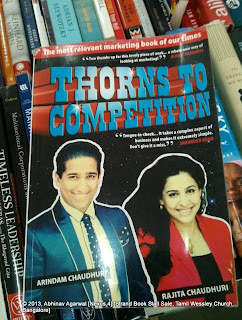 Crossword is trying to find new niches by opening small stores inside stores like Shopper's Stop. 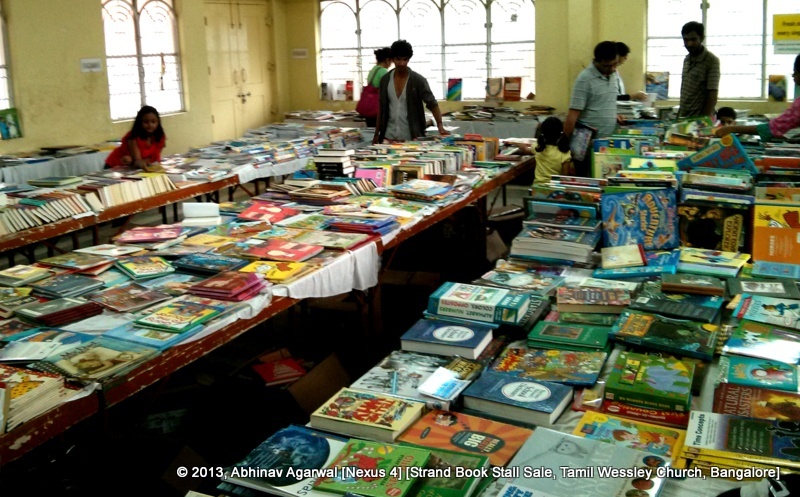 The Strand Book Stall sale used to be an eagerly awaited event because of the massive selection of books in one place and for the healthy discounts they used to offer on most books. 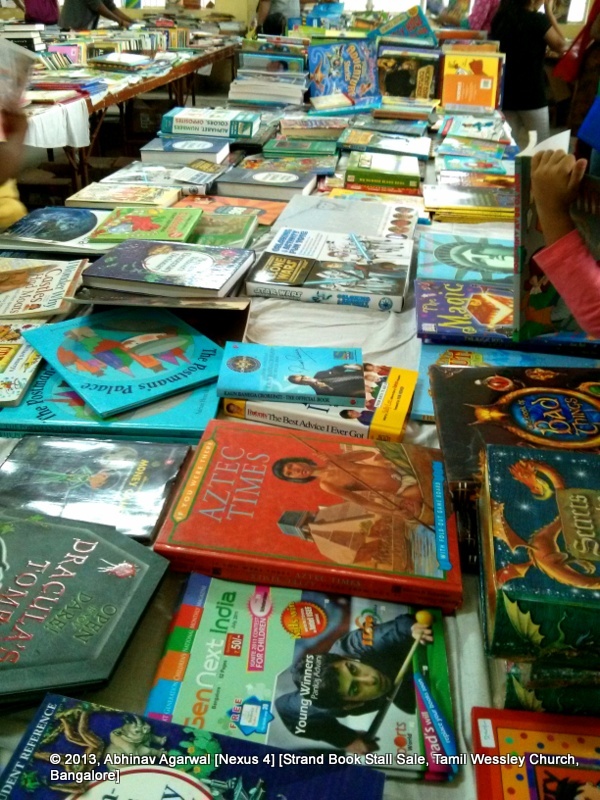 20% or more may not look like much in the world of online commerce, but even five years ago, buying from the Strand Book Stall could mean saving hundreds of rupees at their sale. This year the Strand Book Stall had a "Mega Stock Clearance Sale" at the Tamil Wessley Church Hall, behind Garuda Mall, from the 11th of July to the 26th of July. 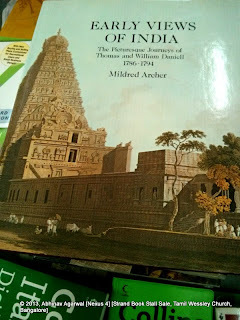 We ended up buying seven books, so it was not a bad haul by any means, but I was still reminded of previous years where we would stir out of the sale after having spent a couple of hours or more and with several bags of books in tow and a happy weekend of reading and reading to ahead of us. Serendipity is something that online stores cannot provide to their customers, or at least not in the same manner that a huge spread of books in a huge hall can. I absolutely love the "Customers Who Bought This Book..." feature that Amazon provides, apart from its "Look Inside" feature and free chapter previews on its e-books, not to mention the reader reviews that are perhaps the single biggest competitive different they have. 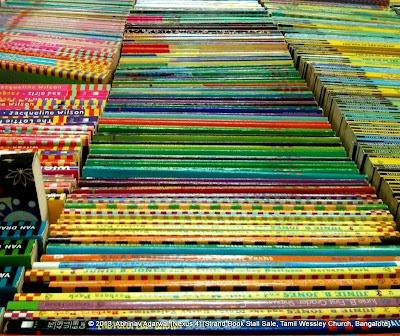 However, the experience of physically browsing books in aisles is yet to be replicated by even the best of online user interactions and visualizations and recommendations. 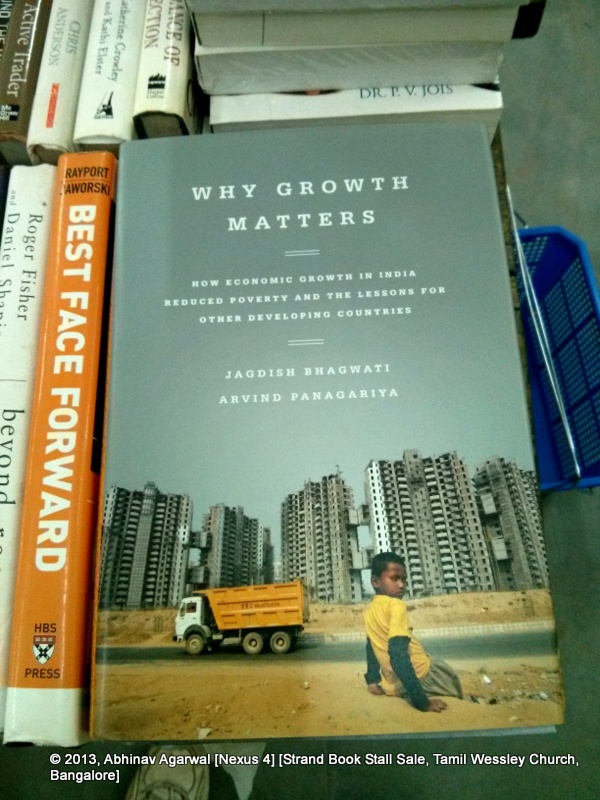 This book by Prof Jagdish Bhagwati and Arvind Panagariya has been released in India under a different name - "India's Tryst with Destiny", and costs Rs 599 (cover price), so I couldn't really understand why its international edition - Why Growth Matters - was on sale here, at a high (but still steeply discounted off the cover price) price of Rs 785. Glad to come across a favourite book of mine - "Churchill's Secret War" (my review). Dr Y.V. Reddy was one of the best governors of any central bank, and steered the Indian economy admirably as the Governor of the Reserve Bank of India during the US financial crisis of 2008-09. 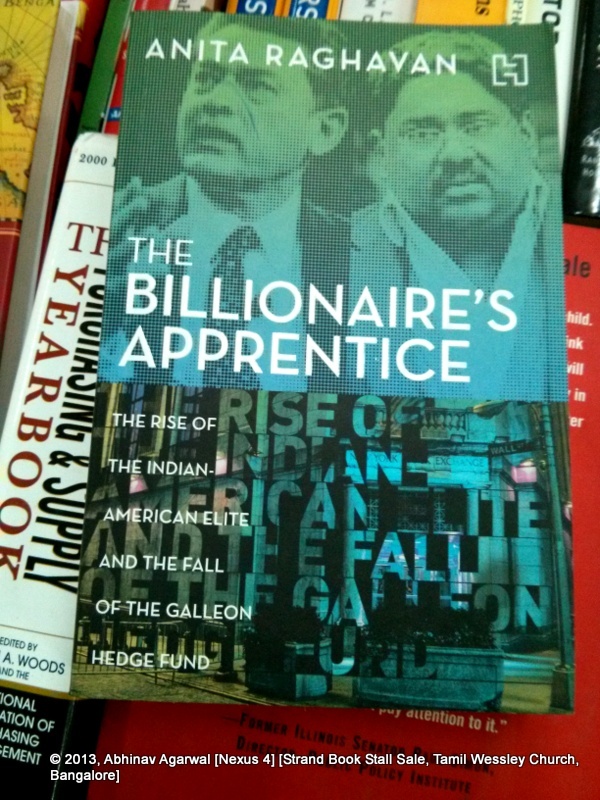 Yes, I will read this book, "The Billionaire's Apprentice: The Rise of The Indian-American Elite and The Fall of The Galleon Hedge Fund", by Anita Raghavan someday. 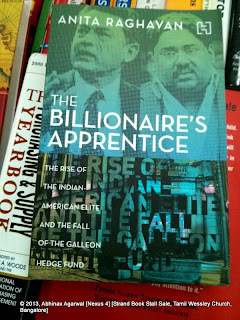 I had read an excerpt of this book in the Mint newspaper sometime back. 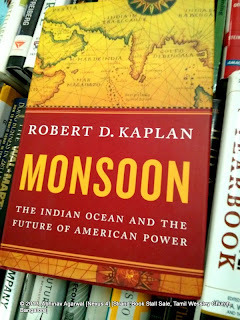 Should be engrossing. 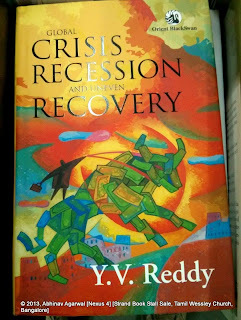 This book is proof that somehow money is not a guarantor of happiness. There is something in the human ego that wants to be recognized as an "author". 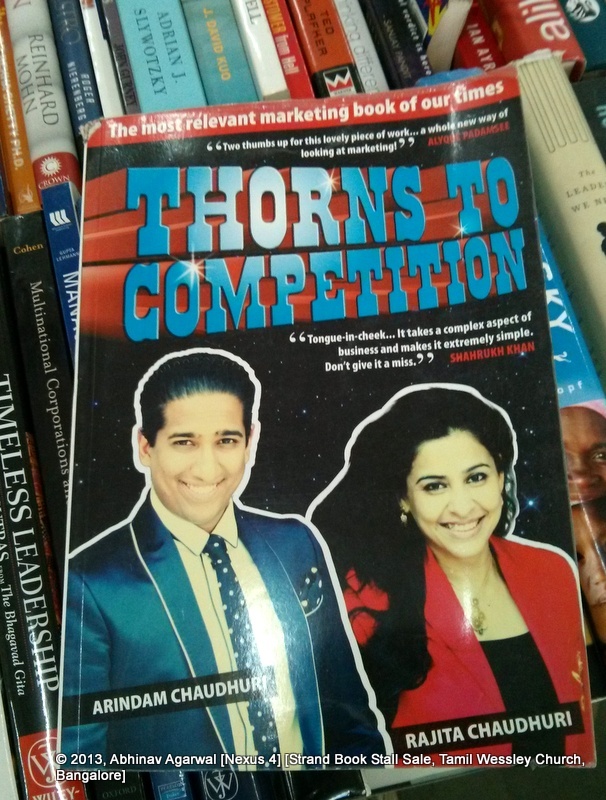 That Arindam Chaudhary got Bollywood actor Shahrukh Khan to launch his book says more about the book than the author's slickly combed hair on the book's cover will ever tell us. At Rs 700 or so this book was awfully tempting to buy - considering its retail price is about three times as much. I shall wait for more prosperous personal economic times. It is not clear how long the Strand Book Stall will be able to keep up its annual and semi-annual sales events, and when they do stop, it will be yet another event to be lamented - for the loss of a physical marker that has been part of so many book lover's lives for so long. In a battle between nostalgia and economics, the market values nostalgia only as long as it can monetize it.